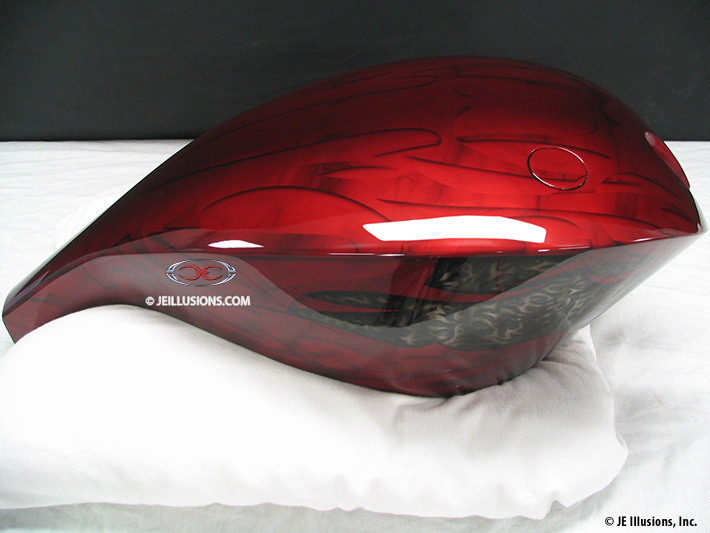 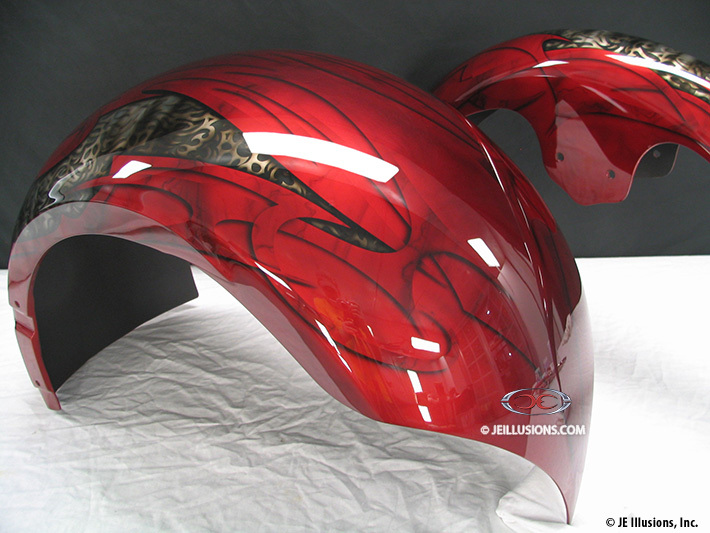 High-gloss kandy Red as the under-base on this custom paint design. 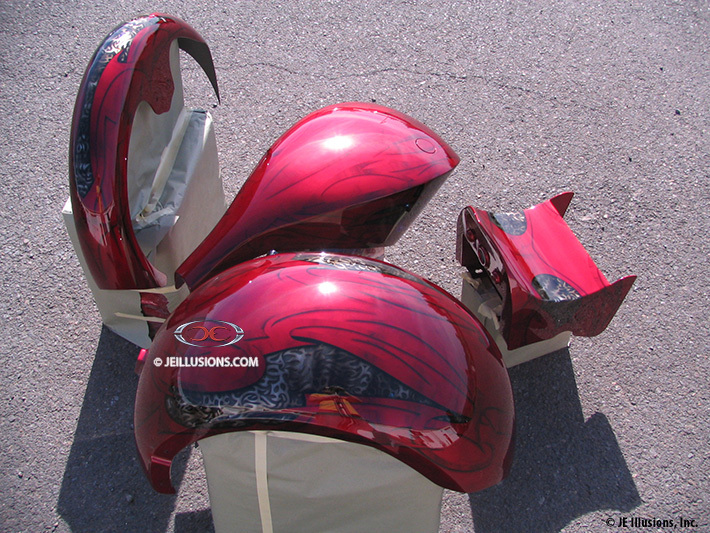 Hints of a blade designed are airbrushed over with black. 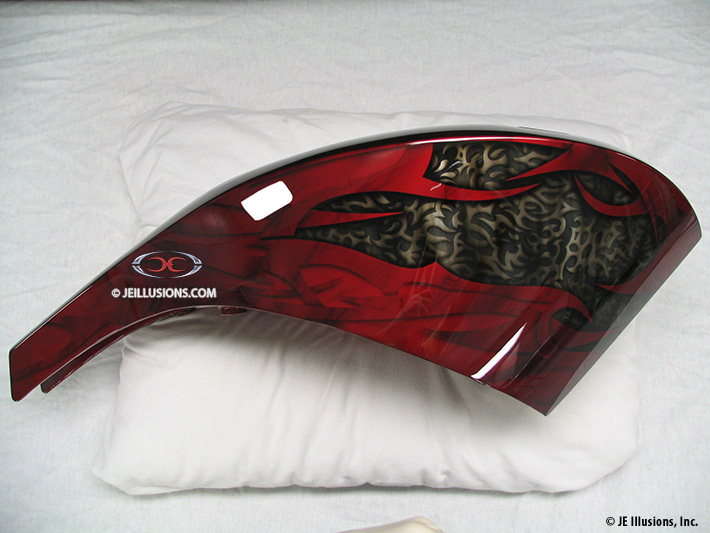 But what really sets his design off is the intricate gothic style blade design that emerges out in various places, all completely hand airbrushed using hints of silver with black for added shadowing and depth.